Both Jewish survivors and Nazi perpetrators have described the cremation grills used at the Operation Reinhard death camps. How do we know these grills would have worked? 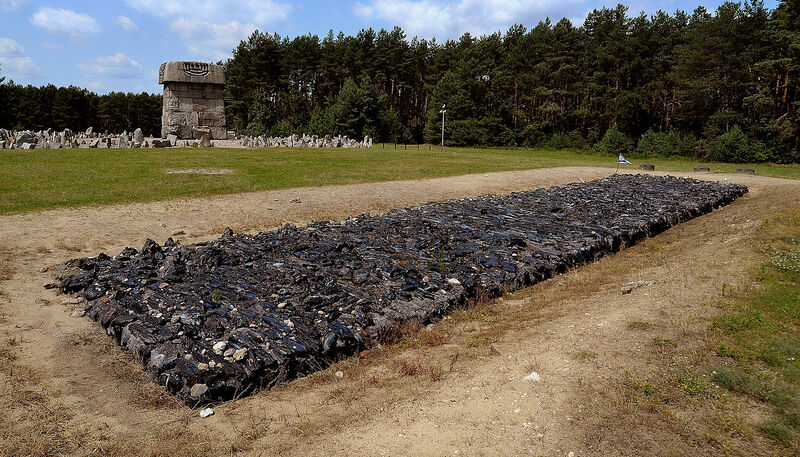 The design of the cremation grills at the Operation Reinhard death camps of Treblinka, Sobibor, and Belzec were faulty and would not have worked. Eyewitness evidence from the Nazis themselves shows that they built grills made of concrete blocks and steel railroad tracks. 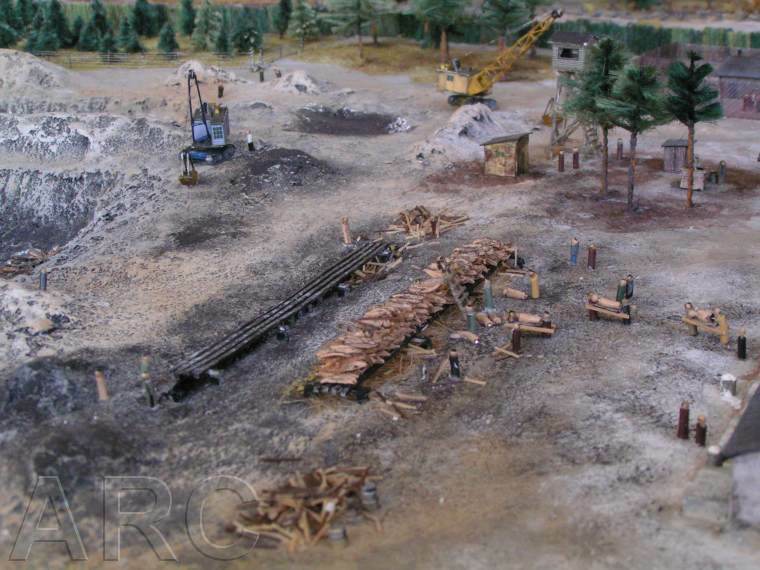 These were used over a pit full of gasoline or oil soaked fuel. This system for burning the remains of their victims was primitive but effective. What do Holocaust deniers specifically say about the cremation grills? There were no Jewish survivors from Belzec or Sobibor who worked in the extermination area and incinerated the bodies. There are two survivors from Treblinka—Yankiel Wiernik and Chil Rajchman (also known as Henryk Riechman)—who did work in the area and could directly describe the cremation grills. Both Wiernik and Rajchman described the terrible process of cremation in general, but do not detail the construction of the grills. However, the SS perpetrators did describe the cremation grills in various war crimes trials. In general then, the cremation grills were built in or over a pit. Concrete blocks supported the railroad tracks down the length of the pit. The fuel was placed under the grill and doused with oil or gas. If cremation grills were so inefficient, why did they work so well at Dresden? Thus, according to both Taylor and Irving, the remains were reduced to ashes and bone fragments using a method nearly identical to the cremation grills at the Operation Reinhard death camps. Denierbud claims that the proposed cremation process in the camps was so primitive that even people in the Middle Ages, who he claims used “adjustable height” grills, would have known how to incinerate hundreds of thousands of bodies more efficiently. However, he offers no evidence for what this “adjustable-height” grill would have looked like, how it would have worked, or where such a grill was ever used. Denierbud’s speculations about the use of “adjustable-height” grills in the Middle Ages is worthless as evidence. Eyewitness evidence from the Germans themselves shows that they built fixed-height grills made of concrete blocks and steel railroad tracks. These were placed over a pit full of fuel that was soaked with gasoline or oil. This system for burning the remains of their victims was primitive but effective. See “On Third of the Holocaust” at http://www.youtube.com/watch?v=taIaG8b2u8I at approximately 3:03 and 3:05 minutes. You may see the design of the grill in Treblinka at http://www.deathcamps.org/treblinka/pic/bigl1model32.jpg. You may see an image of this at Christopher Bollyn and Helje Kaskel Bollyn, “Estonian Patriot was Eyewitness to Firebombing of Dresden, Nuremberg Trials: The Historical Life of August Kuklane (1923-2006)” at http://www.iamthewitness.com/Bollyn/Eyewitness.to.Firebombing.of.Dresden.pdf. David Irving, Apocalypse 1945: The Destruction of Dresden (Focal Point Press, 2007), pp. 234, 235. This passage can be accessed at http://fpp.co.uk/books/Dresden/Apocalypse_2007.pdf.